In the joint arrangement, the Birmingham-based manufacturer will offer all of its business customers a range of budget-friendly finance options after teaming up with the UK’s largest privately owned independent funding house. Brett Barratt, managing director and founder of Warrior Doors, said the launch of the finance scheme was an exciting new development for the company, whose clientele include high-end jewellers, schools, housing associations, banks and museums. The Warrior Doors/Shire Leasing scheme will enable companies and organisations to invest up to £1 million in the high quality security doors, windows and entrance systems and spread the cost through manageable payments over three or five years. Not only will it mean they can budget accurately and protect existing lines of credit, such as bank loans and overdrafts, they can also benefit from the finance lease payments being 100% tax deductible against profits. Vincenzo Scalzone, Sales Director at Shire Leasing Plc, added: “We are delighted to work alongside Warrior Doors, a successful company that is offering our flexible finance options. This allows for Warrior Doors to reach out to a larger customer base. This will mean businesses will no longer have to be restricted by their budgets and can now choose to invest in higher quality products that protect their businesses affordably”. To mark the launch of the scheme, Warrior Doors and Shire Leasing are to co-sponsor the Service Supplier of the Year award at the National Association of Jewellers Awards 2016, which takes place at the St Johns Hotel, Solihull, in December. The British jewellery trade is a key sector for Warrior Doors and it prides itself on providing top quality security doors, windows and entrance systems without compromising on aesthetic appeal. To find out more about business equipment finance options, contact Shire Leasing or Warrior Doors. Birmingham-based Warrior Doors is a premium manufacturer of bespoke doors, windows and entrance systems, all designed and manufactured on site. Founded in 1996, it is a family-run business that has an enviable reputation for providing exceptional service. In 20 years of production, Warrior Doors proudly declare its security doors have never been breached. Shire Leasing Plc (Shire) is supported and backed financially by the government-owned British Business Bank, after receiving an investment, which is enabling them to significantly increase their finance provision to British businesses. 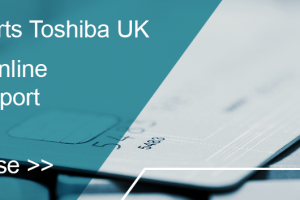 With over 25 years’ trading experience and an own book value of over £80m, Shire is the UK’s largest privately owned independent funding house specialising in leasing specifically for business critical equipment in the B2B market place.